316L Surgical Stainless Steel Labret Stud. Labret Studs have a 5mm diameter flat base plate from which a smooth stem protrudes. On the other end is a removable ball, which can be replaced with a variety of add-ons, Jewelled Balls, Cones, Horns etc. What more can I say that previous reviewers haven't already mentioned? At £1.95 you can't go wrong with this good piece of 'no frills' jewellery. I have had trouble in finding a labret stud of below 6mm elsewhere on the internet. I wanted the lowest length available to stop the rubbing, chaffing and risk of receding gums associated with the longer lengths in madonna piercings. It worked. Extremely comfortable to wear and when I get tired of my monroe for a day, I stick it in my helix and couple it with one of my jewelled balls. This product is excellent. 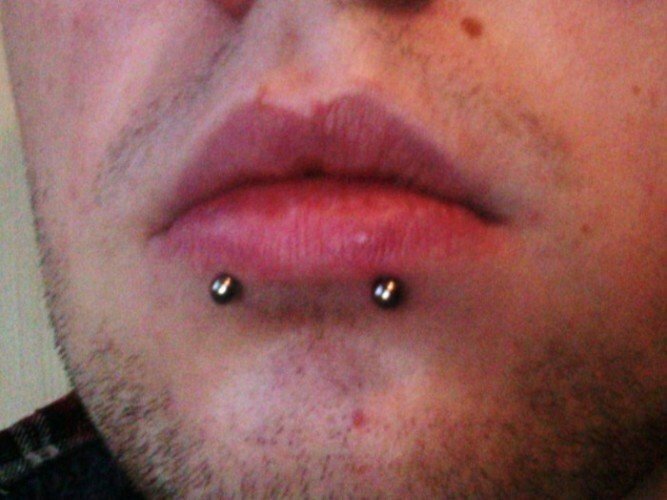 The most comfortable labret i have ever worn, causes no irritation to gums or teeth.i'd definately recommend it! 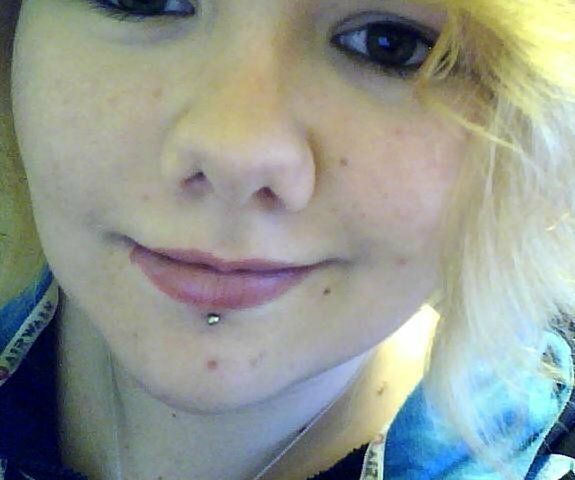 I took it, because I needed a shorter labret, and I find it perfect. Classic model, good quality of the material, looks good whatever your are wearing and fits perfectly. This is a great product, is exactly what it said, I needed it as my lip labret was too long, and this was the perfect size. Also very good and fast delivery! I adore this product i wanted a shorter bar because my newly pierced lip bar was rubbing against my gums and giving me all sorts of problems, but this product was perfect no pain nothing i advise everyone to buy this.